A proud moment for Assam, former Mr. Assam 2013 and Mr India 2015 runners-up bodybuilder from Kamrup, Golap Rabha has earned an invitation to travel to Italy to represent India in the upcoming championship of International Bodybuilding & Fitness Federation (IBFF)’s Mr Universe 2016 to be held on October 10 at Taranto, Italy. The upcoming Mr Universe championship is being organised by the International Bodybuilding and Fitness Federation (IBFF). Rabha’s quest to become one of the nation’s top amateur natural bodybuilders in the universe keeps him working hard everyday as he prepares to lift the muscle crown for his debut international event. 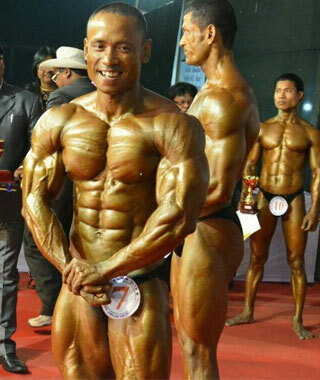 A representative of All Assam Body Building Association, Rabha is hopeful that he will stand tall in the competition. Best of Luck, Mr. Rabha! Best of luck Golap da!